In the early years, Monague Native Crafts (MNC) started as a mobile retail pop up that operated out of the family van that also served as "home". 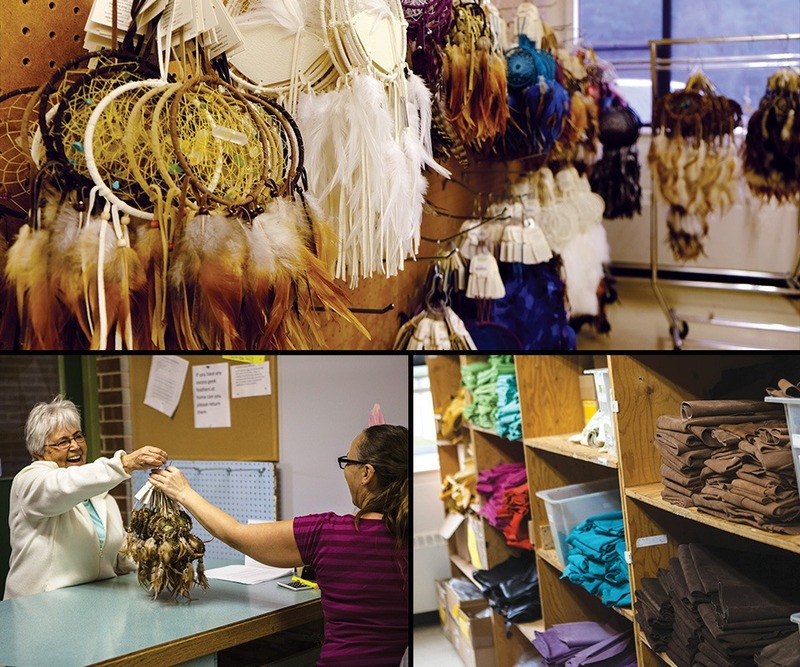 The business has grown to become one of the largest suppliers of handmade Canadian giftware with a large warehouse located on the Pekw'xeyles Reserve, Sto:Lo Nation, in Mission BC. Give your customers the choice of handmade. Promote the Gift of Handmade with our bestselling program and plan-o-gram displays. 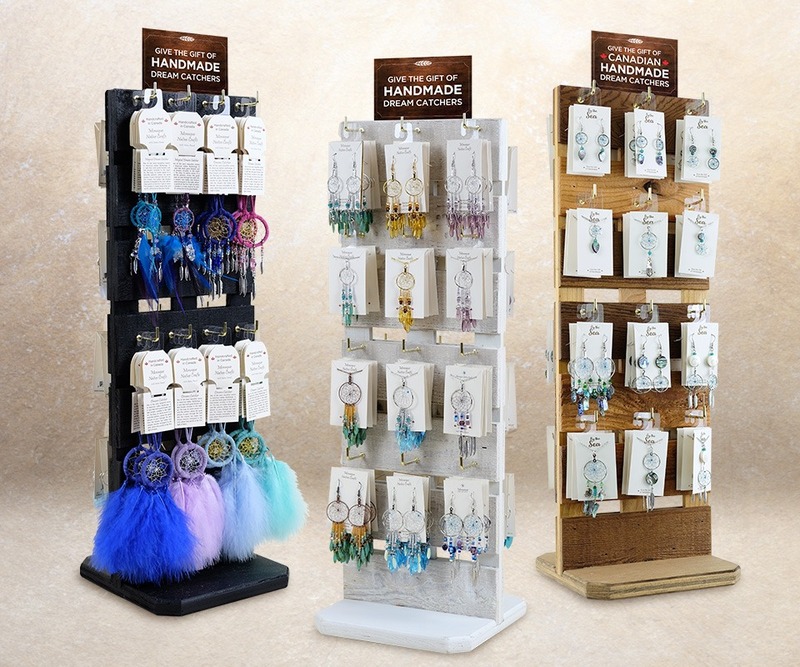 Choose from a wide variety of preselected jewellery and dream catcher programs or let us help you customize a selection for your store. For inquiries and pricing please call 1-800-663-7713. A gentle reminder: Our display units are provided, free of charge, for the sole display of Monague Native Crafts products only. We respectfully ask for your compliance.